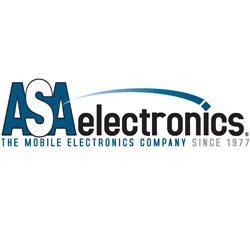 ASA Electronics, an international manufacturer of premium audio and video electronics and appliances has partnered with the Independent Boat Builders, Inc. to be the video supplier of choice. Independent Boat Builders, Inc. (IBBI) is the leading marine buying group, with a reputation for financial stability, innovation, and integrity from their membership. IBBI currently has 20 members, located in the United States and Canada. Cumulatively, IBBI manufacturers sell more boats in the U.S. than any other entity. “Our new partnership with ASA will be a good addition for our members. Their team is very enthusiastic about their products and their video product line-up gives our members many choices,” Tom Broy, the President of IBBI, said. “They have the ability to bring our members innovative products that will help differentiate their boats in the marketplace. We look forward to working together to help our members offer the best products to the boating consumer,” Broy continued. For over 30 years, ASA has been specifically designing, engineering and testing their marine products to be able to handle the challenging conditions encountered on the water. Their premium line includes high-quality and feature-rich stereos, speakers, LCD TVs and other accessories. All of these products are uniquely built to withstand a variety of elements found in the marine environment. As a leading supplier to marine manufacturers, ASA has built a reputation around providing reliable products that contain the latest technology along with delivering superior customer and technical service.